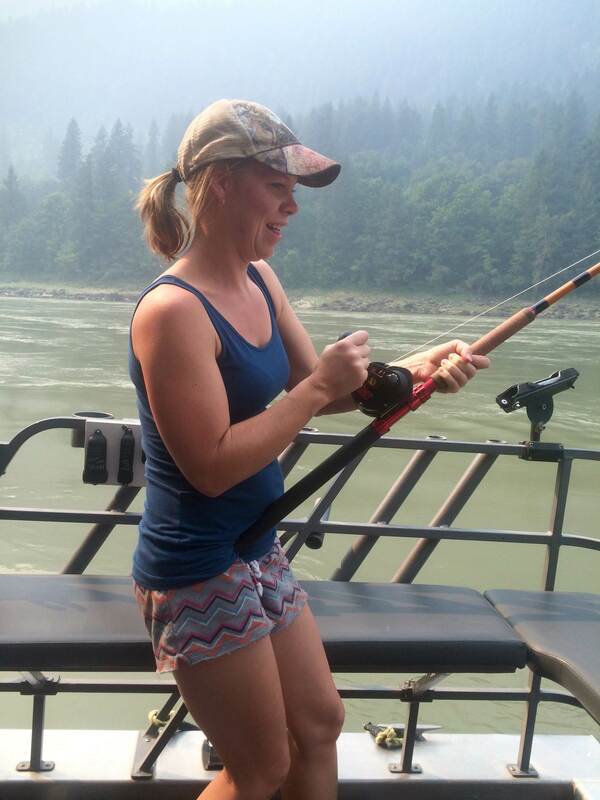 Now that the Fraser is open to salmon fishing there are plenty of opportunities for fishing in the Fraser Valley. 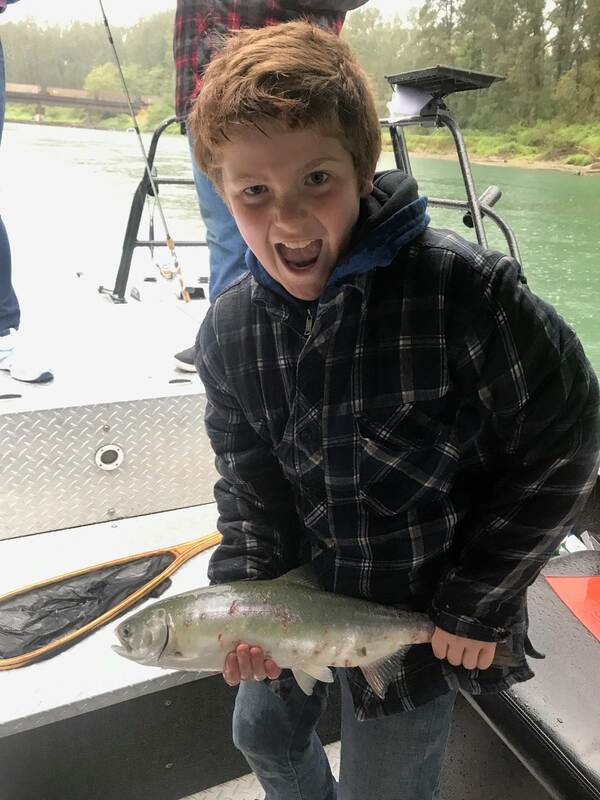 The albion test fishery is showing good numbers of Chinook migrating up the Fraser, Chum salmon are now starting to trickle in and a few Coho starting to show at the Vedder confluence. 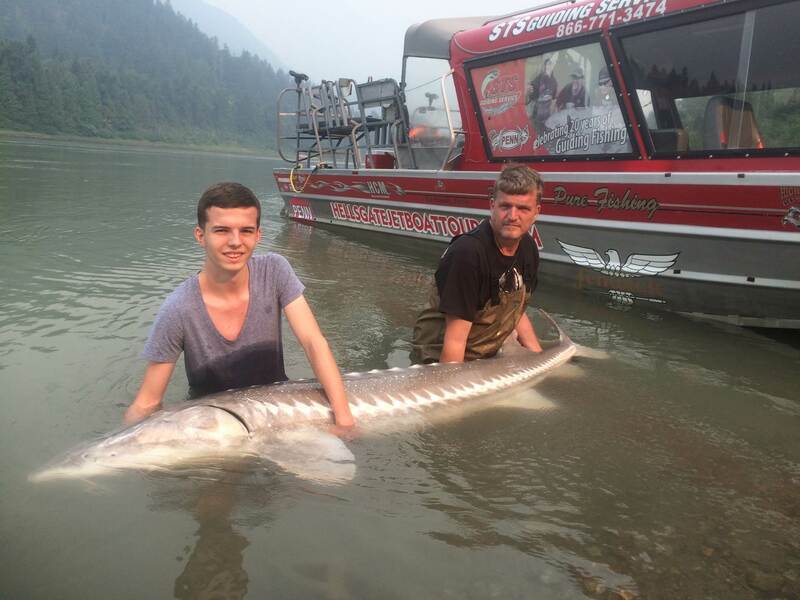 Overall it is really starting to take shape and sturgeon fishing has been good to excellent. 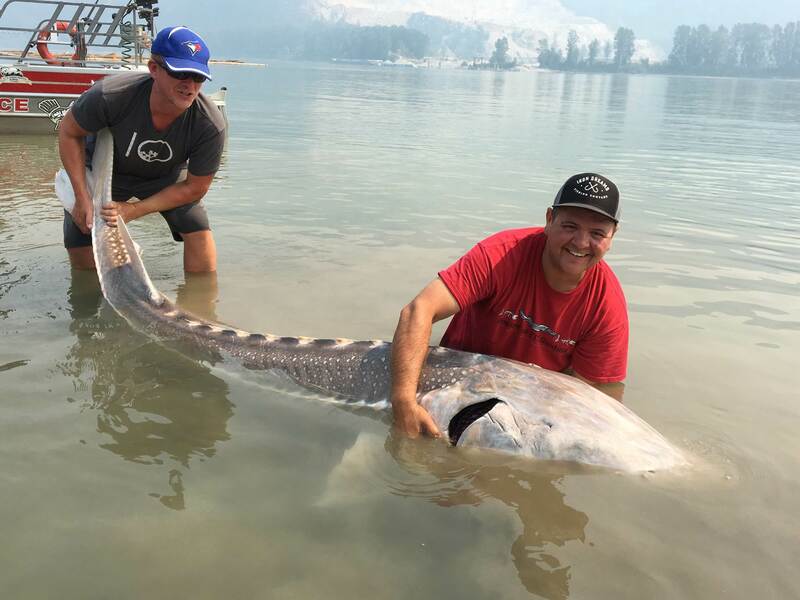 Fraser River Sturgeon fishing has been good to excellent this past week, lots of fish in the lower river with 6 to 12 fish per trip on average with a few larger fish being caught as well. Some of these giants are starting to get full so using smaller baits and trying baits other than salmon parts is a good choice. We’ve done well on Lamprey and Pike Minnow this past week as well as salmon parts. 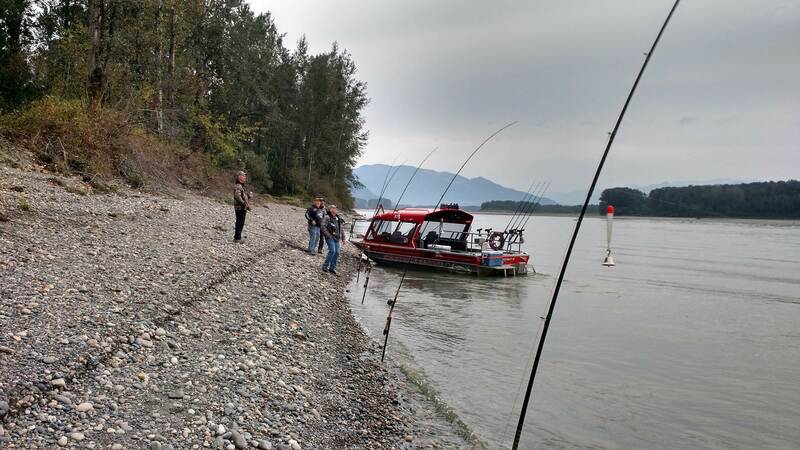 Salmon fishing is now open on the Fraser River, as mentioned above, the test fishery is showing some strong numbers so it’s a great time to get out and try some bar fishing for Chinook and chum or fly and spin fish for Coho or Pink Salmon. Be sure to check your regulations for species and methods to use for sportfishing. Once again the government is asking anglers to selectively fish using methods such as bar fishing, spin fishing or fly fishing. Finally, the Fraser River is Now Open to Salmon Fishing, see below for retention limits and species. Salmon Fishing on the Fraser will open today, see below for details. Notice will be out shortly. 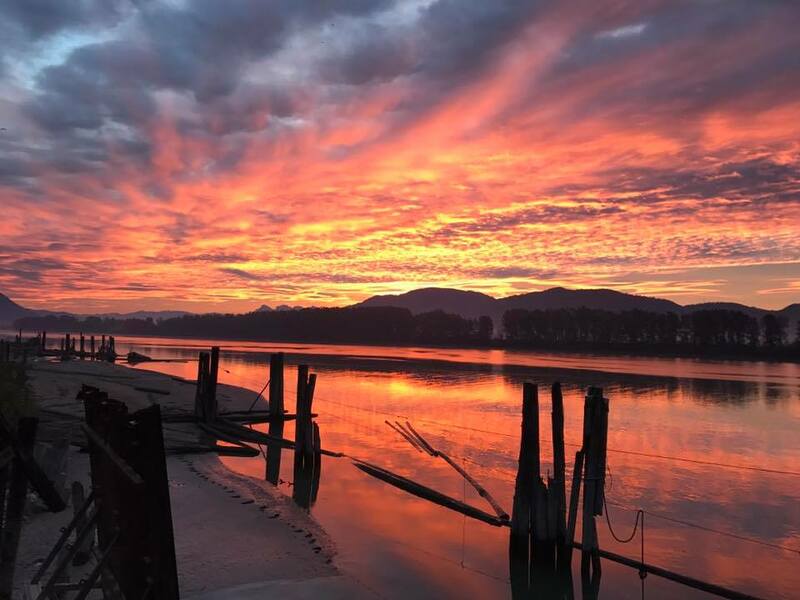 The recreational fishery for salmon in the non-tidal waters of the Fraser River will open with the management measures noted below. Bridge at Mission, BC to the Highway 1 Bridge at Hope, BC. – The daily limit for chinook salmon is four (4) with only one (1) greater than 62 cm. 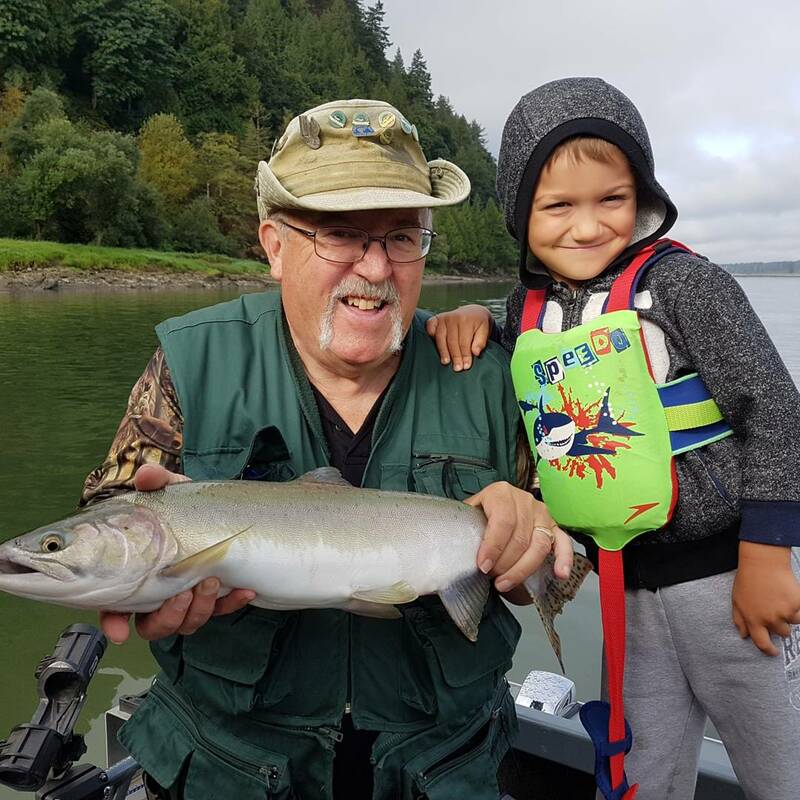 – The daily limit for chum salmon is two (2). – No fishing for sockeye salmon. – You may not retain pink or coho salmon. – You may not use bait when fishing for salmon. 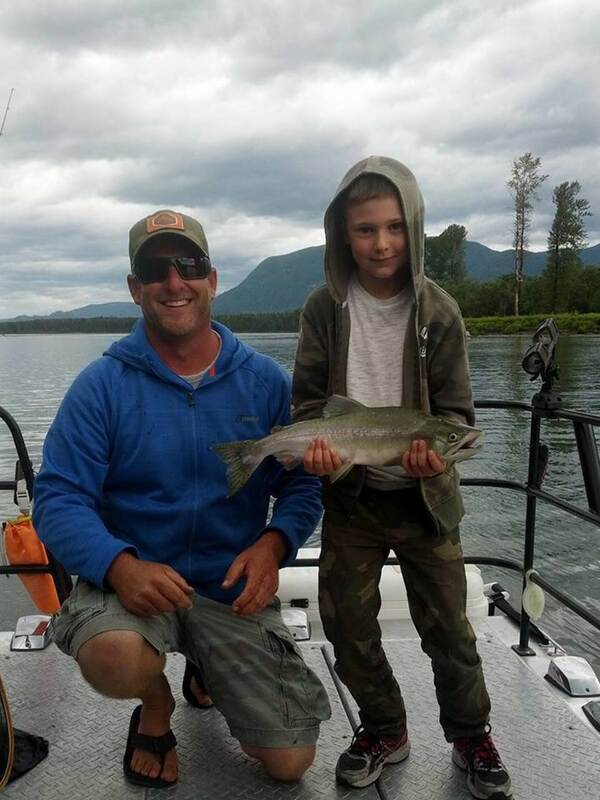 – The daily limit for coho salmon is two (2) hatchery marked fish only. You may not retain wild coho. – You may not retain pink or sockeye salmon. Waters: The Fraser River in Region 2 from the Highway 1 Bridge at Hope, BC to the confluence with Sawmill Creek. 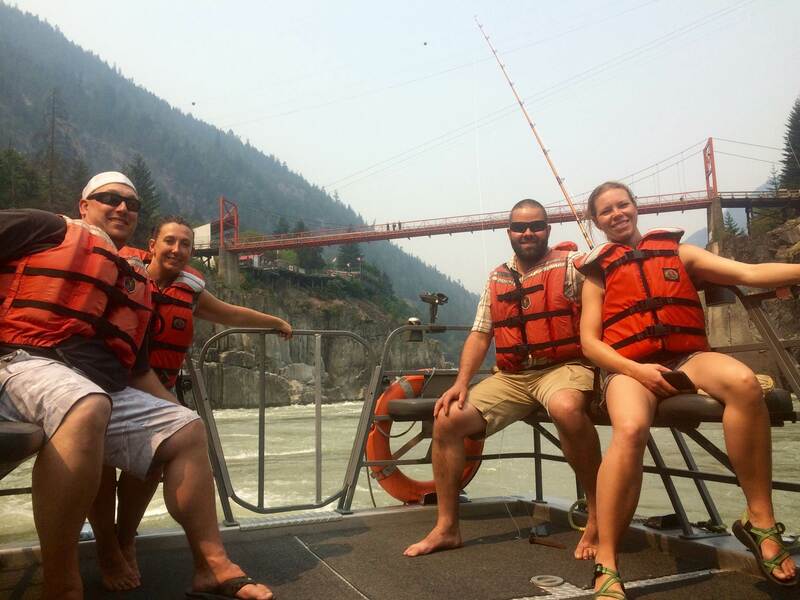 – You may not fish for sockeye salmon. – You may not retain chum, pink, or coho salmon. – You may not retain chum, sockeye, pink, or coho salmon. Waters: The Fraser River in Region 2 upstream of the confluence with Sawmill Creek. 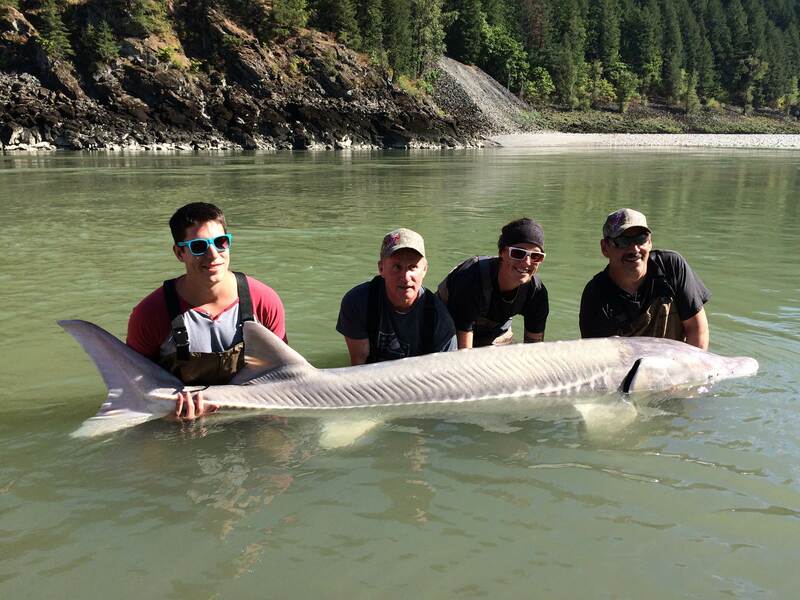 Management Measures: You may not fish for salmon. 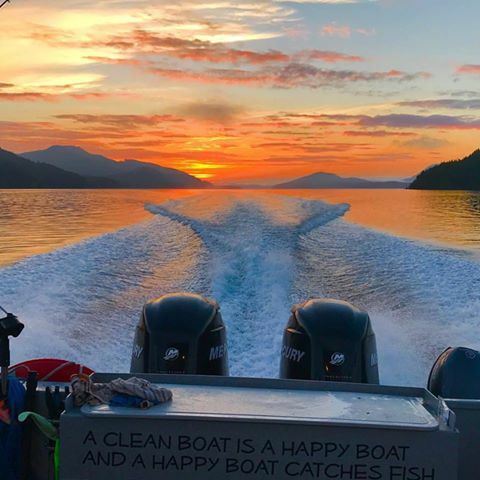 Reminder: In Region 2, fishing for salmon is only permitted from one hour before sunrise to one after sunset each day. 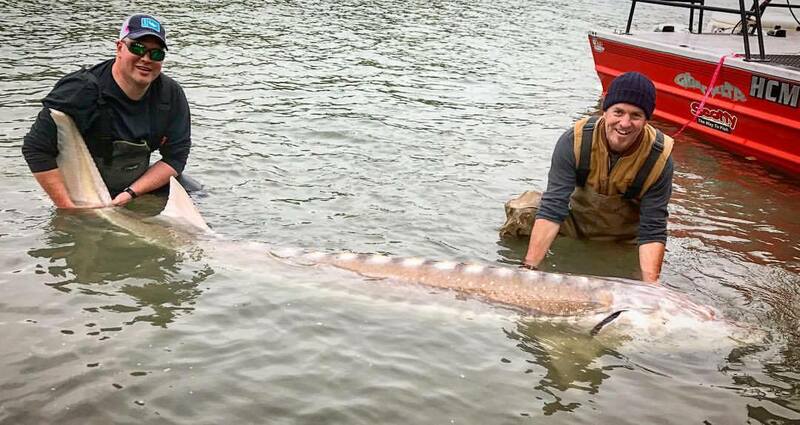 Fishing for sturgeon has been very good the past few weeks, catch rates were average with 5 to 10 fish being caught per trip but size of sturgeon was well above average. 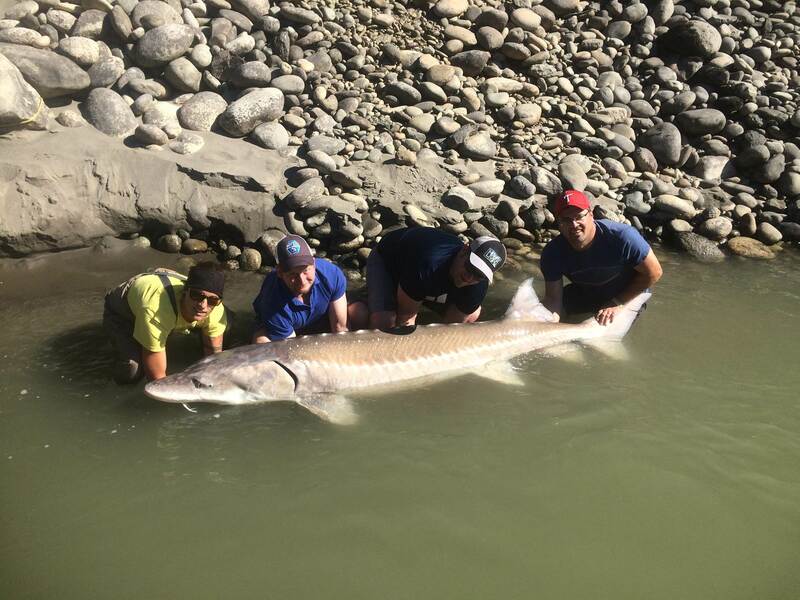 STS Guide John Popowich and guests of Taiga Building landed a 10ft 4 inch sturgeon on Sept 10 which measured a 56inch girth, what a monster. Congratulations to everyone on landing this amazing fish. Thomas, Doug, Chris, Matt, and Tom have also been landing some nice fish on a daily basis, most of these bigger fish are being caught in a bout a 10 mile stretch of river between Sumas confluence and Stave River confluence but there are some beauties also being caught above Chilliwack in the Harrison Agassiz area. Salmon fishing is still not open on the Fraser River but we are able to target salmon on the Somas/Vedder River and Harrison River. We are optimistic that the Fraser will open soon but until then, we will continue to fish the Vedder/Somas and Harrison Rivers for salmon. 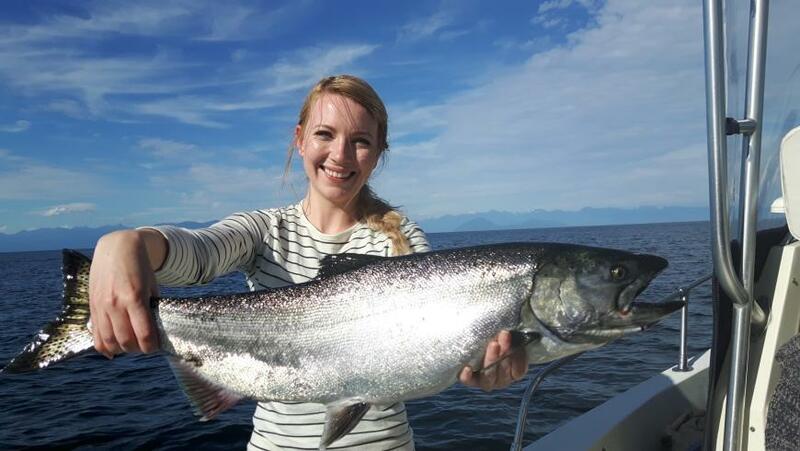 We also offer salmon fishing out of Vancouver so there is options. 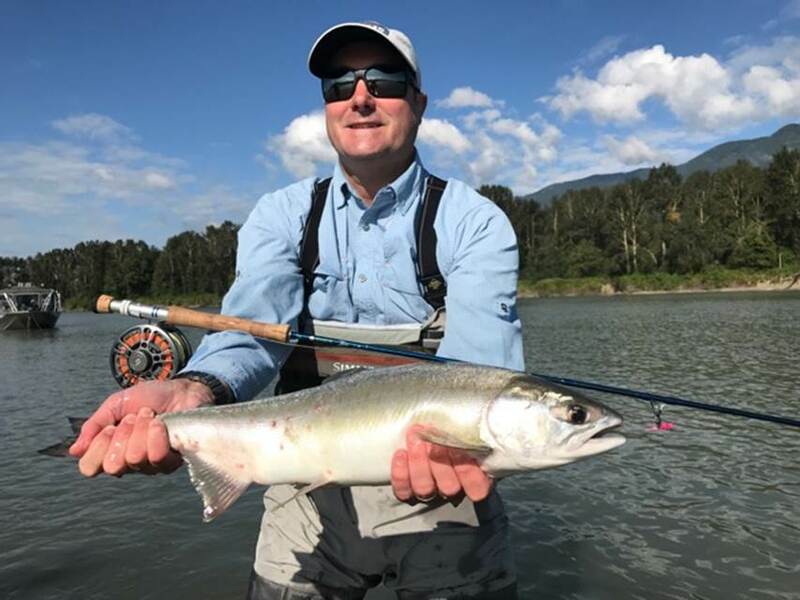 For anglers wanting to target Pink Salmon on the fly or light spin tackle, there are opportunities in the valley, Pink salmon are entering most tributary rivers so you might need to do a little walk and wading. 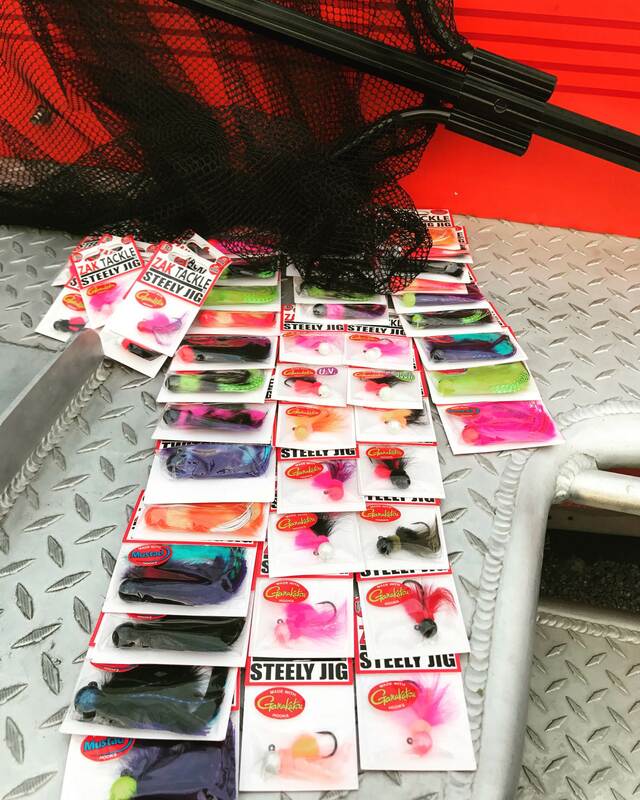 Pink lures such as Gibbs/Delta Crocs work well for light spin tackle or for the fly angler try a rolled muddler or any fly that is Pink or has some flash. 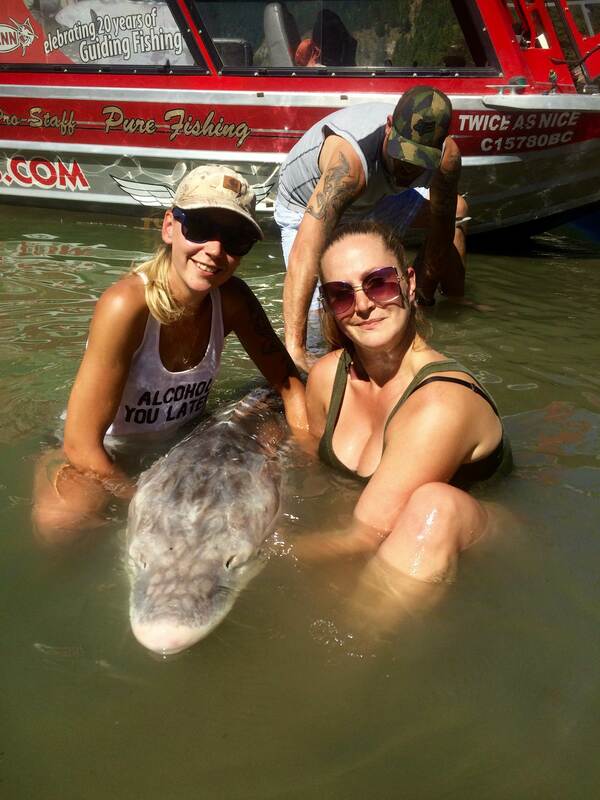 Pink salmon are aggressive, the trick is to present your offers very slow and in their face. If your looking for a unique fishing adventure, STS Guide Vic Carrao offers a trip like no other guide service can offer. 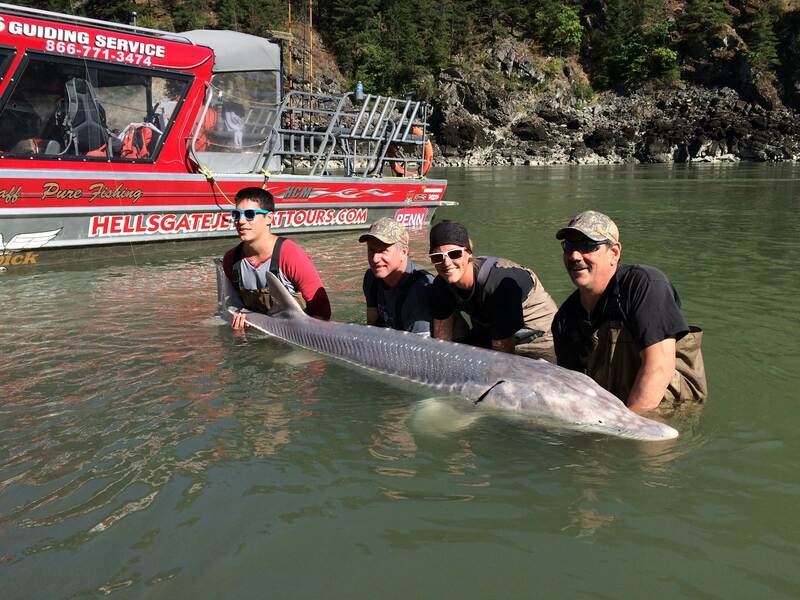 Vic’s 30 years of driving experience takes you deep into the Fraser Canyon where you will run some of the Frasers biggest and baddest rapids, view some amazing scenery and catch a few sturgeon while enjoying a barbeque shore lunch. We still have a few dates available in last week of September and a few dates in October. Hope you all have a great week, give us a call at 604-671-3474 or emails us at sts to book your next guided adventure. 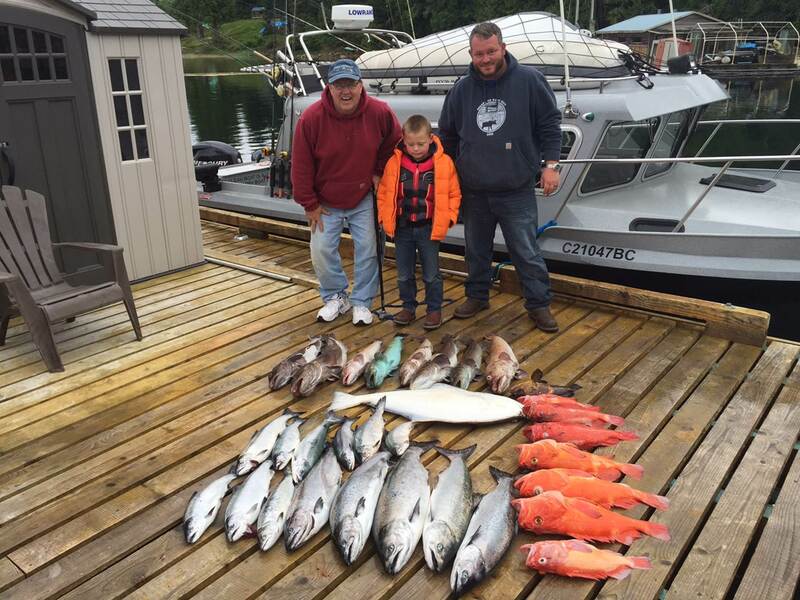 This past week we have seen some great fishing on the Fraser, Vancouver ocean and West Coast Vancouver Island. 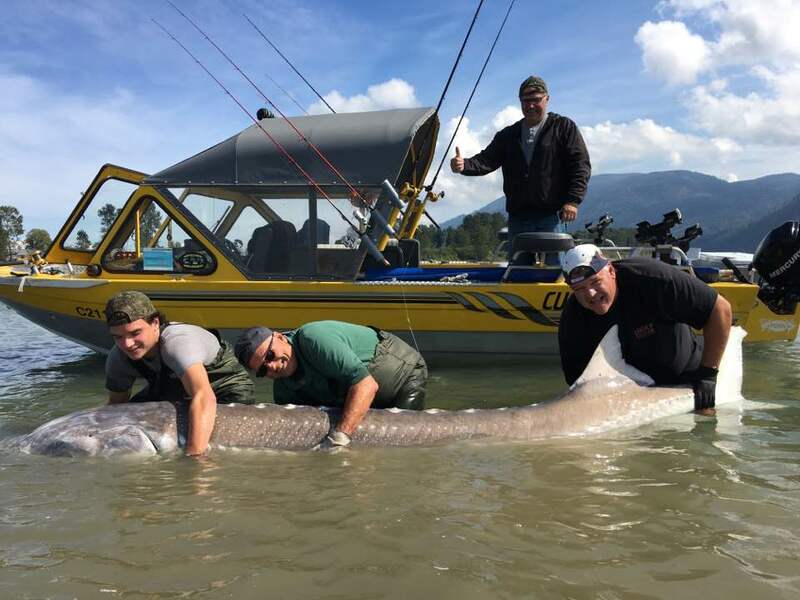 The Pink Salmon are starting to show up in Vancouver harbour and Howe Sound and by the looks of our sturgeon catches, the big monster fish are staging getting ready for the big feast on salmon. 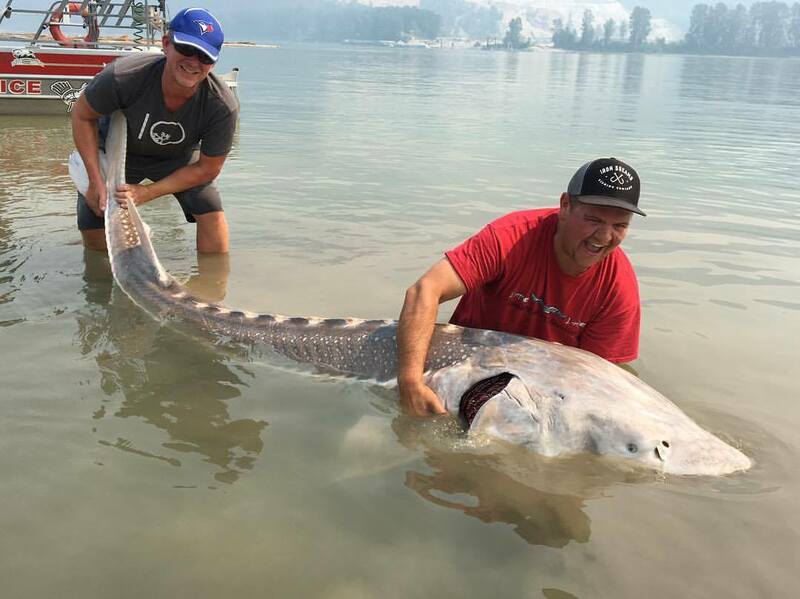 Fraser River Sturgeon fishing has been excellent this past week, lots of big fish around including several over 9ft and a few over 8ft. Good numbers of smaller fish as well so the action has been steady. 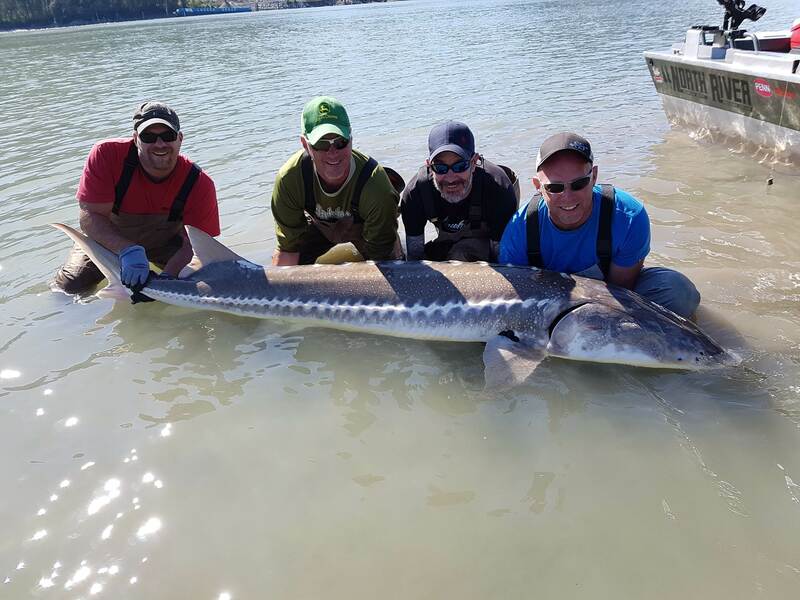 One of the best months for sturgeon is October, we still have some great dates available. Weekend packages are very affordable starting at $575 pp for a 2 night 2 day with hotel, breakfast lunch and full days of fishing. 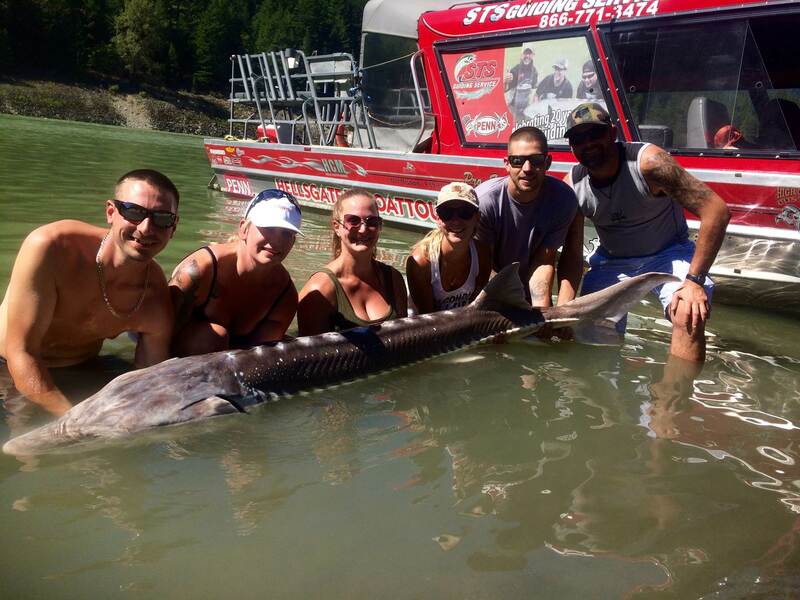 Day trips start as low as $125 pp so good time to book your October sturgeon trip. Vancouver salmon fishing has been spotty but the last few days have really picked up with some Pink Salmon moving into the Harbour. Over the next week or so we should see more Coho move in and those Fraser Chinook should be showing up anytime. The sockeye run has been slow to arrive but lets keep our fingers crossed that they show up as Alaska is having a record year. 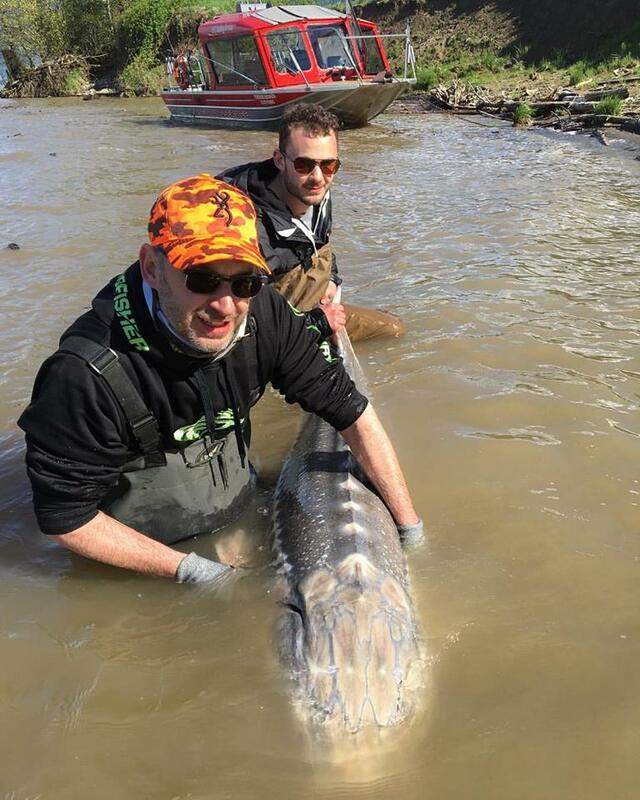 If your not a big fan of trolling out in the ocean, try casting Gibbs Delta spoons for Pink Salmon, you can do this from a boat or from shore in places like Furry Creek or Ambelside park. The trick is to retrieve slow and set that hook when you feel the lure stop. Once of the best lures is the Gibbs Croc in pink or chartruse. 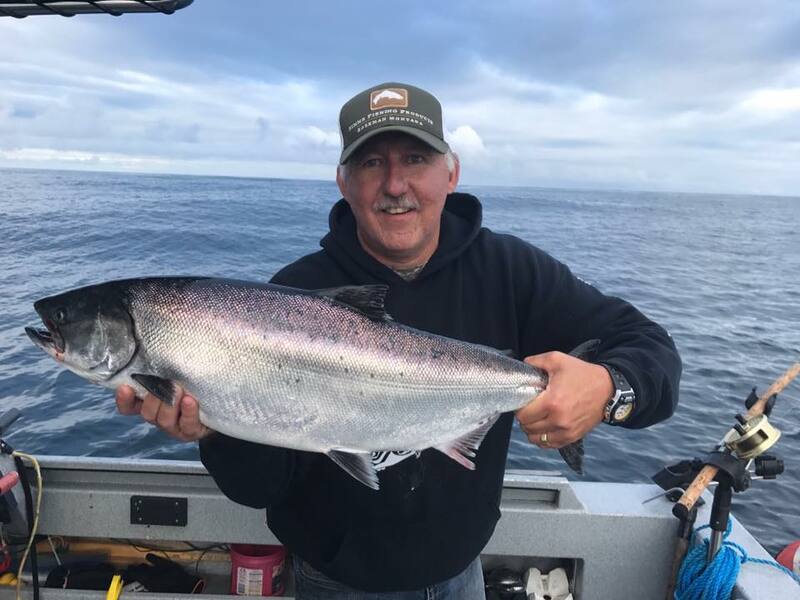 West Coast fishing has been excellent, lots of Chinook around as well as Halibut and ling cod. We will be wrapping up our west coast operation over the next few weeks then focuising 100% on the Fraser River. If you are wanting to get out next season, this is a great time to book your 2018 west coast adventure. Hope you all have a great long weekend.